Meet Chandler. He is an 8 month old German Shepherd mix. He is ALL puppy, with lots of energy – but he’s still very well-mannered, leash broken, and rides well in a vehicle. He has also be trained to sit, and shake your hand! Chandler loves to play and loves treats. He gets along with all sizes of dogs . He’s been neutered, current on all his shots, heartworm negative, and has been microchipped. 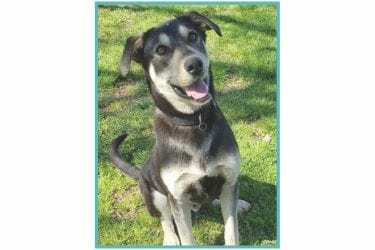 Chandler is looking for his forever family. If interested in this beautiful, active German Shepherd, please complete our online adoption application. This young boy won’t last long! Precious Paws supports EBC Farms – a foster ranch in Muldrow, Oklahoma that fosters and diligently seeks homes for dogs without their forever families. Precious Paws supports EBC Farms - a foster ranch in Muldrow, Oklahoma that fosters and diligently seeks homes for dogs without their forever families.